You can say what you want about mink farms, but one thing is certain: They stink! That can be a problem if you’re operating a data center near one and trying to use airside economizers to bring in fresh outside air for free cooling. There are many efficiency benefits to utilizing outside air for economization, but not every situation is right for bringing outside air into a data center. Each type of economizer has its own advantages and challenges, depending on data center goals, site requirements, geography and climate. I recently visited four data centers, from Canada to Utah, including the one next to the mink farm, and found multiple occasions where airside economization was not the ideal solution, despite its energy savings. 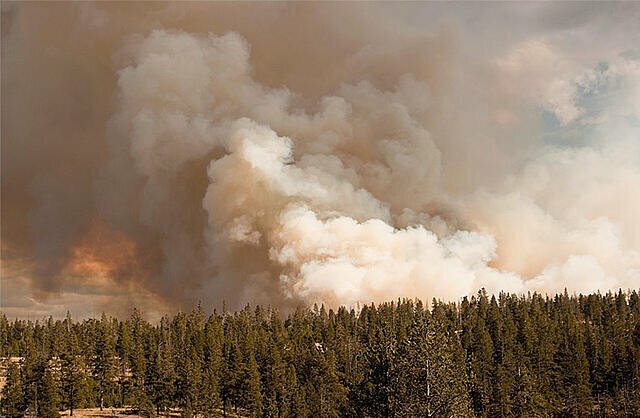 One data center in Canada was near a heavily forested area, and the company was concerned about smoke from forest fires entering the facility. A data center in Washington was next to an apple orchard, which creates a lot of dust during harvest. Another is using 100% outside air for economization, but has an 8MW chiller plant for backup, in case they ever need to close the outside air dampers and recirculate the indoor air. That’s a HUGE initial investment for only a backup system. Data centers have made cutting energy consumption a priority to save money and meet government regulations. Cooling accounts for almost 40 percent of data center energy usage, so it’s a main focal point for driving energy savings. More recently, water conservation has become a priority in the selection of cooling systems and economization strategies. At the same time, relative cost and the payback periods remain key factors in selecting these large, expensive systems. All economizer systems use either outside air and/or water to reduce or eliminate mechanical cooling in data center cooling units. These economizer systems generate significant energy savings of up to 50 percent, compared to legacy systems. The first decision most data center managers make in selecting an economization strategy is the type of data center environment they want to operate, which naturally then leads to a decision on whether or not to bring outside air into the data center. As a result, there are two primary economizer designs typically deployed in data centers: direct and indirect. While direct and indirect economizers operate in different ways, the ultimate goal of both systems is to provide free cooling to a room or facility, thus reducing the overall energy consumption of the facility. However, fundamental differences between the methods in which direct and indirect systems economize greatly impact the temperature and humidity environment that can be efficiently maintained within the data center. Direct economization brings outside air into the data center using a system of ductwork, dampers, and sensors. These systems usually have lower capital costs than other forms of economization and work well in moderate climates. In the right climate, direct outside air economizers can be very efficient and an effective economization strategy, but do introduce the risk for contaminants and wide humidity swings into the data center. For maximum annual savings, a wide acceptable supply air temperature and humidity window needs to be implemented in the data center. For highly critical data centers, the risk of outdoor contaminants and wide temperature and humidity swings is sometimes too significant for comfort. Sensible air-to-air plate frame heat exchangers transfer heat between two air streams, but maintain a complete separation, thus eliminating the opportunity for contamination and transfer of humidity into the data center space. These units can be operated in a dry state, or can be sprayed with water to increase their effectiveness and hours of economization. Heat wheels offer similar qualities to air-to-air plate frame heat exchangers, but can have higher air leakage rates and require additional maintenance to maintain their performance. The Liebert DSE system is a direct-expansion (DX) system that utilizes an integrated pumped refrigerant economizer to maximize annual energy savings and provide superior availability without the need for separate economization coils. When outdoor ambient temperatures are low enough, the integrated refrigerant pump is used to circulate the refrigerant in lieu of the compressor to maintain the desired supply air temperature. The refrigerant pump uses a faction of the energy used by the compressor. As the outdoor ambient temperatures rise, the Liebert DSE system automatically transitions on compressors to maintain the desired supply air temperature. Its integrated Liebert iCOM™ thermal controls work to automatically optimize the entire system to provide more free-cooling throughout the year. Because of its efficiency advantages, the Liebert DSE system was recently approved for use in California data centers under Title 24. Its economizer was shown to reduce time dependent valuation (TDV) by 8-10 percent and, since it uses no water, save around 4 million gallons of water annually in a 1MW data center, compared to water economizers. Initial installation costs for any of these economizer options can be affected by how well the technology under consideration fits into the overall design of the existing facility. The amount of indoor, outdoor or rooftop space required for situating the units will affect the selection decision. Chilled water systems with cooling towers tend to be the most costly, because of the high system first cost, use of water and a higher maintenance burden relating to their complexity. Emerson Network Power offers options for all of these economizer technologies. There is no single economizer technology that fits every situation. Each has its own strengths based on location and application, and each has its challenges. Fortunately, there’s an economization option for virtually every location – even next to a mink farm. Internet of Things, but what counts as a “thing”? The latest buzz or trend being discussed at almost every IT and technology innovation meeting around the world is currently the Internet of Things (or IoT, as like everything else in the tech world it has been shortened to). We are rapidly moving forward from the original Internet as we know it, built by people for people, and we are connecting devices and machines, allowing them to intercommunicate in a vast network. The Internet of Things, but what counts as a “thing”? Basically, we can fit almost any object you can think of in this category. You can attribute an IP address to nearly everything that exists within our universe, regardless if it’s a kitchen sink, a closet or an UPS. 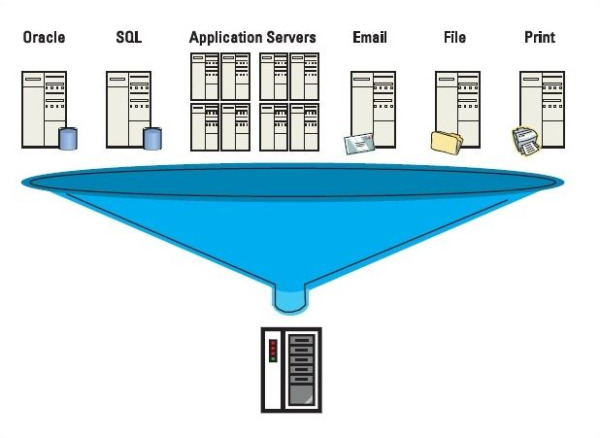 Everything can be connected to the Internet and can begin to send signals and data towards a server, as long as it has a digital sensor integrated. Today, roughly 1% of “things” are connected to the Internet, but according to Gartner, Inc. (a technology research and advisory corporation), there will be nearly 26 billion devices on the Internet of Things by 2020. At first, it might sound a bit scary, right? Hollywood movies and more recently even Professor Stephen Hawking tell us that it’s dangerous if machines talk to other machines and become self-aware. So should we be frightened or overly excited? There is no correct answer, because this new revolution and innovation in the field of technology is still not yet fully understood by people. Back in history, all great inventions were first doubted and rejected by human kind. Remember how at the early stage of the Internet, some people considered it will be a great failure? Not many envisioned how it would change the world and eventually become an essential part of our lives. Huge billion dollar companies, like Google, Microsoft, Samsung and Cisco, are investing a lot of money in developing IoT, and this could be the proof that the Internet of Things is here to stay and successful businesses will start building products and services compliant to IoT required functionalities. So, how does it work? For normal people, interconnecting their own devices can lead to a better life quality and fewer concerns. For example, a smart watch or health monitor bracelet could be connected to a coffee maker, so that when you get out of bed, hot coffee is waiting for you in the kitchen. Temperature sensors in your house will manage heating in each room and even learn when you are home so your boiler is more efficient and you save energy. In making normal everyday life easier, IoT will include household items like parking sensors, washing machines or oven sensors, basically anything that has been connected and networked through a control device. Your fridge can know everything about your diet and your daily calorie intake and react accordingly, sending you updated grocery lists and recommended meal recipes. Already Samsung is building smart fridges to help you keep track of items, tell you when they are out of date and in the future automatically order you milk when you are running low. But this is the micro-level we’re talking about. Let’s think about autonomous cars, smart cities and smart manufacturing tools. Bridges that can track every vehicle, monitor traffic flow and automatically open and close lanes to help traffic safety; cars that can talk to each other on highways, to help keep rush hour traffic moving and enhancing driver experiences; this is more than simply connecting machines or sensors, it’s using the data from all these connected devices in a way that can significantly improve life as we know it. The key to the IoT is that all of the connected devices can send data in a very short timeframe, which is critical in many circumstances, but that’s not all. Instead of simply storing the data, it can also immediately analyse it and trigger an action, without requiring any human intervention. Companies worldwide can greatly benefit from Internet of Things software applications, increasing their product’s efficiency and availability, whilst decreasing costs and negative environmental effects. In a data center for example, by inter-connecting all active components, including UPS systems, chillers, cooling units, PDU’s, etc, a data center administrator can easily monitor and supervise their group activity. Control solutions like Liebert® iCOM are actually more than simple monitoring interfaces; they can coordinate all of the cooling systems and deliver the required air flow at the temperature needed on demand. When problems arise, alerts and notifications sent to the data center administrator are more than essential, in order to restore them to normal. But wait; shouldn’t this Internet of Things be something new? Liebert iCOM has been on the market for several years now. Let’s clear this up. 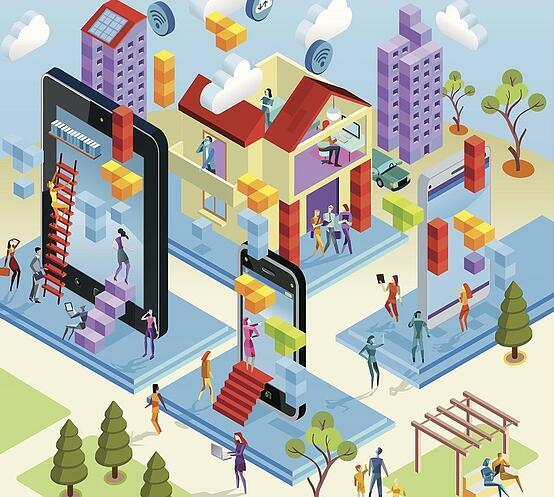 The term Internet of Things was first mentioned in 1999, by British visionary Kevin Ashton, but the actual process has been in development for a long time now. You see, the name can be a bit confusing, and indeed it just recently crawled into the mainstream media, so people think it’s something very new. But in fact, major companies have already been using and developing IoT for a couple of years now, changing perspectives on how things should really be done. However, taking full-advantage of this great innovation in all life aspects is still in its early phase. The greatest challenges that IoT faces in this moment are high costs and security threats. For the time being, IoT solutions can be really expensive, so we’re dealing with an ongoing process of lowering costs, to allow more and more people and businesses to adopt it. Also, the security breaches can be a reason to be concerned, since IoT is very vulnerable at this point; many hackers have manifested their overwhelming interest in this direction, so developers need to be extremely cautious when it comes to security protocols. All things considered, we can conclude that the Internet of Things is our huge opportunity to create a better life for everybody, to build a strong foundation in the technology field and develop products and solutions that could actually change the world. One thing we are seeing more and more of today is confusion over what temperature and humidity parameters data centers should be designed for. Most of the discussion seems to assume that there is a monolithic block of data centers that can all be designed the same way. Nothing could be further from the truth. Most of the data centers in existence today have a mixture of technologies and systems that all have varying environmental requirements. We typically refer to these as mixed use data centers. Unlike an E-Bay, Google, Microsoft or Apple data center, there is not rack after rack of the same equipment, all with similar operating requirements. That is a very small, but highly publicized part of the market. Everyone loves to write about the latest designs from Yahoo, Google, Apple, Etc, but they are not representative of the larger data center market as a whole. The majority of data centers have multiple generations of technology, some type of spinning disc, some type of tape storage and maybe even some mainframe systems. These data centers can still be extremely energy efficient, but are not going to see the extremes of the ASHRAE design guidelines. They are the data centers that should probably stay with the ASHRAE recommended guidelines. 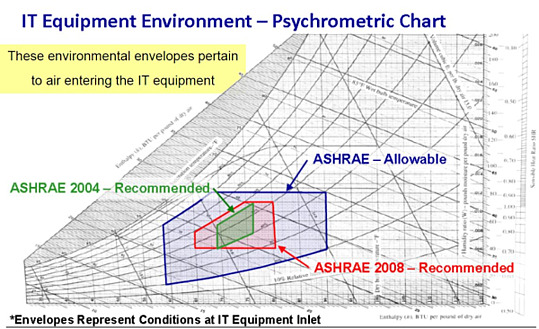 Below is an example of the recommended versus allowable ASHRAE Guidelines. Please note that the recommended temperature guidelines didn’t change in 2011, only the allowable. I know these data centers don’t get the publicity of the designs that push the envelope, but they are much more representative of the data center market as a whole. We certainly do our share of cutting edge designs, but the majority of our clients are looking for ways to add capacity and increase the efficiency of their “traditionally designed” data centers. This may include air and water side economizers and/or more efficient UPS systems and distribution. The designs vary significantly, but the one thing these data centers have in common is that they all have equipment requirements that would preclude some of the modern designs that have little to no temperature and humidity control. With industry forecasts predicting that server and data center energy consumption will nearly double from 2006 to 2011 nationally, the U.S. EPA is encouraging organizations to improve data center energy efficiency. To help organizations meet this goal, the EPA has announced updates to the energy efficiency requirements for a variety of Energy Star qualified products and equipment for data centers. "All Energy Star labeled data center products will come with an associated Power and Performance Datasheet (PPDS) that lists product information and detailed test results," said EPA. "Energy Star recognizes that data center products are highly complex systems that require more than just a label to understand their energy performance. All data center products will be tested according to their specific Energy Star test procedure, the results of which will be reported in a standardized format in the PPDS." In the update, EPA announced new spec process for Uninterruptible Power Supplies (UPS), Data Center Storage, and Servers V2.0. Emerson's LEED Data Center | Discover the strategies and technologies Emerson employed to maximize efficiency, scalability and reliability in their state-of-the-art data center. As we roll into 2012 a quick recap of the data center related events and milestones that shaped our industry are in order. Fortunately the good people at Data Center Knowledge already compiled a very fine article “Top 10 Data Center Trends of 2011”. In addition, you should examine the excellent body of work compiled by The Green Grid in 2011 especially in the areas of sustainability (WUE, CUE, and soon materials ala MRR) and workload analysis. If you are making a list of action items and projects to tackle in 2012, one that really must be on your list is to JOIN the Green Gird and attend the members’ forum, March 6 & 7 in San Jose, CA. Email me if you don’t find a membership level that fits your business needs so we can explore other options. Back to 2011, perhaps some of the most significant developments are the multi-faceted approaches that organizations began to adopt and deploy in earnest towards not only data center energy efficiency but perhaps more importantly overall computational resource efficiency. With the latter, computational resource efficiency (my term), moving to the forefront as the rush to virtualization began to wane in 2011 with many organizations having hit the ‘wall’ of diminishing returns for their efforts. Not that virtualization is dead by any means, it isn’t and properly integrated to one’s DCIM (new for 2011 and rapidly gaining share of mind) deployment strategy will better enable IT and data center professionals to finally place an all-in energy, material resource, and man-hour allocation to each and every VM instance, application, storage bit, and even data I/O network traffic.